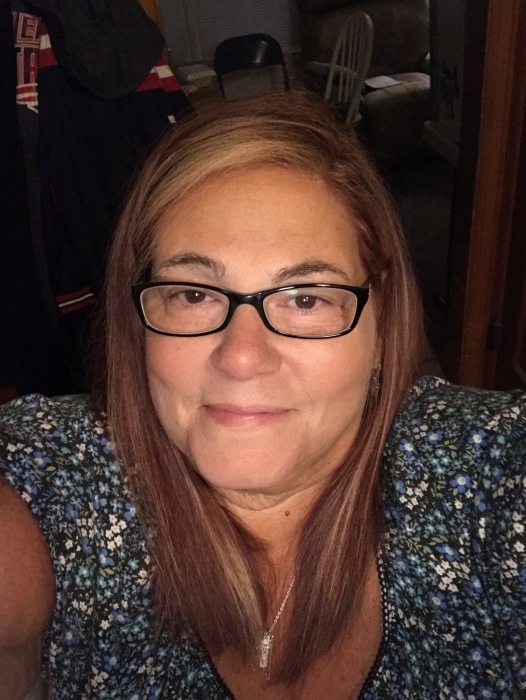 Mary L. (Marcucci) Blair, 57, of Warwick, passed away unexpectedly at home on Saturday, January 12, 2019. She was the beloved wife of David K. Blair, they had been married for fourteen years. Born in Newport, she was the daughter of the late Corrado Marcucci and Irene (Botelho) Marcucci-Smith. She was a longtime resident on Aquidneck Island. Mary was a claim representative with the Social Security Administration for over thirty years working in the Newport office and for the past five years in the Warwick office. She was an avid New England Patriots fan especially Tom Brady, she loved her pool, swimming and entertaining her family. She also loved the Piglet character from Winnie-the-Pooh. Besides her husband she leaves a daughter, Kimberly Dubell of Providence; three sisters, Theresa Taylor of Virginia Beach, VA, Barbara Marcucci and Cindi Byrnes both of Middletown; a brother, Corrado Marcucci, Jr. of Middletown; a nephew, James Byrnes of Middletown; two step-daughters, Patricia Blair of Coventry and Theresa Mullens of West Warwick and three grandchildren, Travis, Kelsey and Briana Mullens. Visiting hours will be held Friday, January 18, 2019 from 4:00-7:00 pm with a service at 6:30 pm in the PRATA-GALLOGLY Funeral Home, 78 Providence Street, West Warwick.